Though my goal was to make a cake called Concorde (Chocolate Meringue Cake Filled with Chocolate Mousse), I simplified my job by making meringue kisses and filled them with chocolate mousse instead. The real deal consists of layers of chocolate meringue and chocolate pudding with sticks of chocolate meringue to decorate the outside. It was created by the famous French pastry chef Gaston Lenôtre to celebrate the first flight of the Concorde. 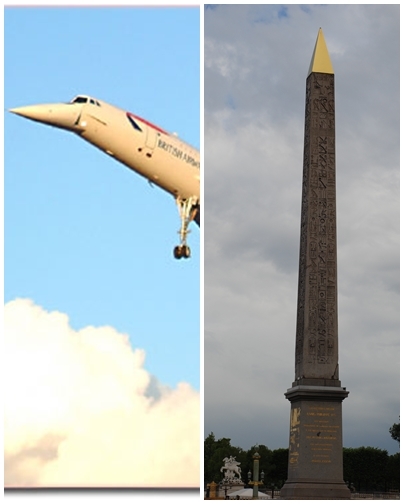 Or is it named after the Place de la Concorde in Paris? The recipe for Lenôtre’s Concorde appears in Lenôtre's Desserts and Pastries. At age 14, Pierre Hermé started apprenticing with Lenôtre and a recipe for Concorde can also be found in Chocolate Desserts by Pierre Hermé. Someday, I’ll make this supersonic Concorde cake, but these little chocolate kisses were simple yet decadent. 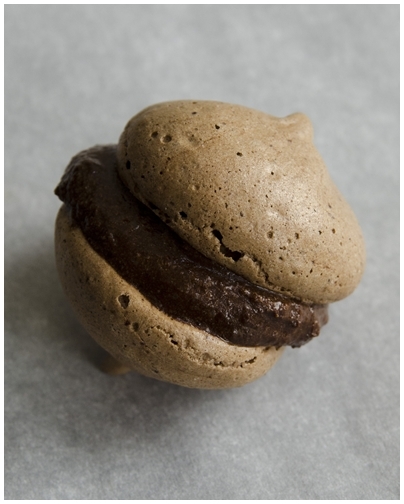 To make the meringue kisses, sift the confectioner’s sugar and cocoa. Whisk the egg whites until stiff peaks form. Then gradually add the granulated sugar and whisk until stiff peaks form again. Fold in the sifted confectioner’s sugar, cocoa and vanilla. Pipe into kisses and bake at 200°F for about 1 hour, until crisp and dry. Let cool. To make the mousse, melt the chocolate, butter and half the sugar in a heavy saucepan (or in a double-boiler). Remove from the heat and add the yolks. In a separate bowl, whisk the egg whites until stiff peaks form. Then gradually add the remaining granulated sugar and whisk until stiff peaks form again. 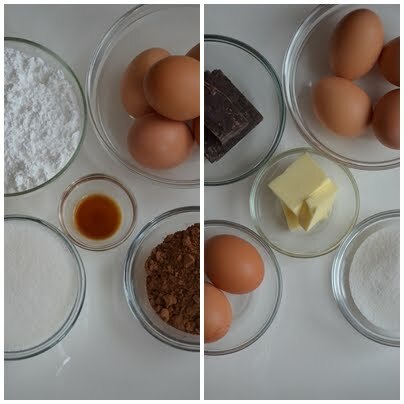 When the chocolate mixture is cool, fold in the egg whites. 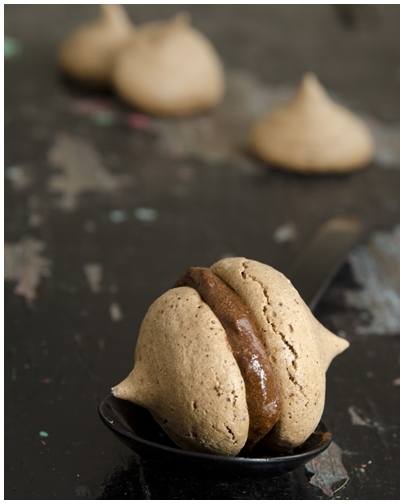 Assemble by sandwiching a spoonful of mousse between two kisses. These were quotes from my three young taste testers. Mmm these look and sound great! I adore your version so so much! Im sure they taste utterly fabulous and im much more likely to try these lovely little things than the original recipe as it were, gorgeous! these look adorable! what kind of piping tip do you recommend to make the kiss shape? These are lovely meringues. The mousse seems to work well as a filling. Looks so sweet. I miss that "melt in your mouth" thing from meringue. For the benefit of that, I will prepare my own version of this wonderful stuff. They look perfect! I'm sure they are amazing. WOW - These look delicious! I've never made meringues but if this is the result, I guess I should start. They look addicting! Yummy, yummy my stomach says! Thanks for sharing this divine recipe! I will impress my mother tomorrow! These are beautiful, they would be nice on my Holiday Dessert Platter. Oh they are so cute! And I am all for anything chocolate!! !